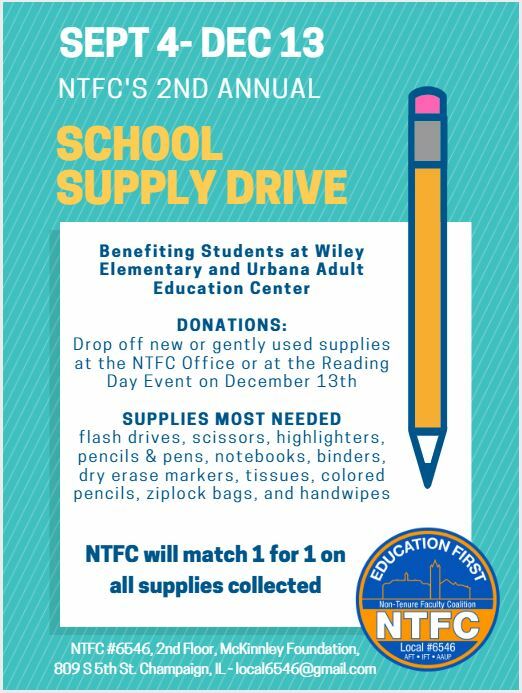 Our School Supply Drive benefiting Wiley Elementary and Urbana Adult Education Campus is in full force! Please drop off your donations to the office or bring them to our end of semester work-in event. NTFC will be matching all donations 1 for 1!